There are six species of swan. Like grass cuttings and lettuce. When feeding swans, throw the food into the water so that they take water at the same time. The foot is used for body temperature control, absorbing heat from the sun when necessary - this can be seen when a swan folds one leg onto its back. Are found on both sides of the Equator. 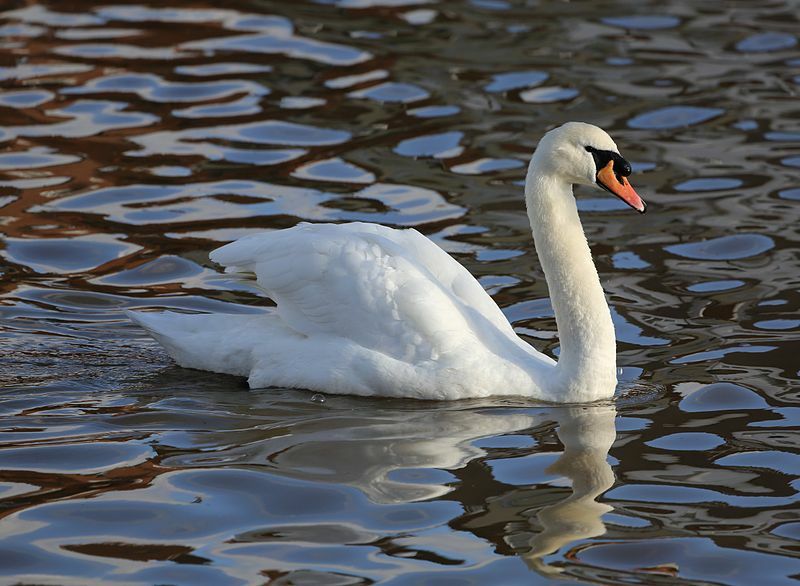 All the Mute Swans in the UK are owned by the Queen. A Mute Swan is not altogether silent. It is called this because it does not emit sounds in flight when all other swans communicate in the air. Can fly as fast as 60 miles per hour. Have an amazing remember and they will remember if you have been kind to them - or not. The mute swan is not actually mute. It does fly without calling. 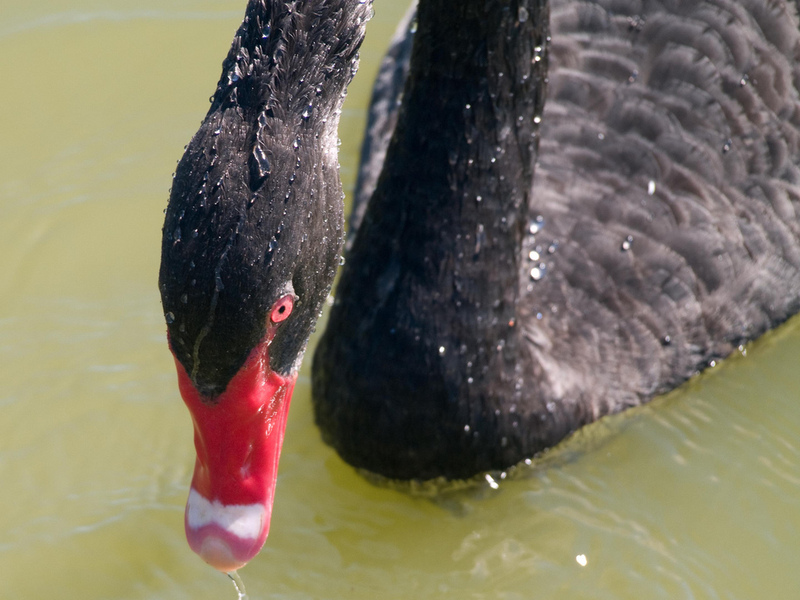 The Australian Black Swan swims using only one leg - the other is used like a rudder. The main predator is the human. Other predators are foxes, raccoons and wolves who also eat the eggs. Are closely related to ducks. Cygnets stay with their parents for about six months. 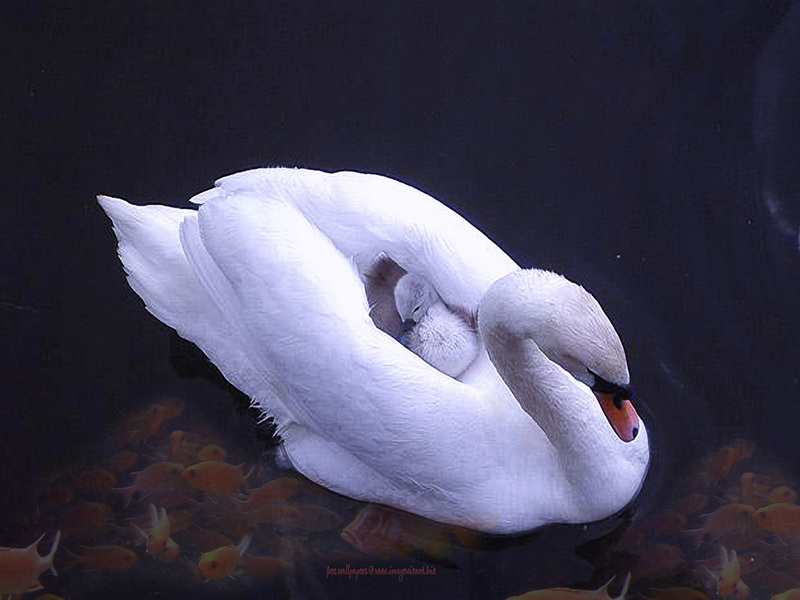 Cygnets' main predators are crows, herons, magpies, turtles, pike, large perch, foxes and mink. 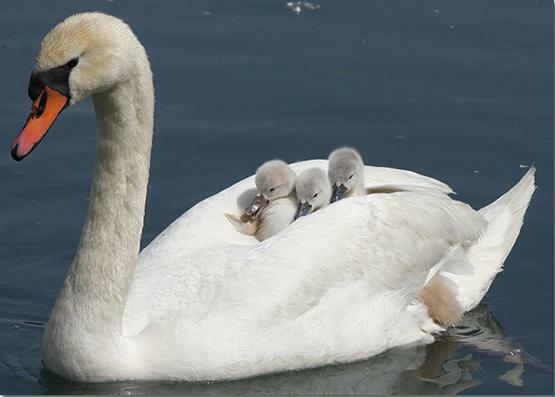 Swans usually carry their young cygnets under their wings for their first 10 days or so.